I always grow vegetables in pots because I live in an apartment without any place for a small garden. This way I have fresh and organic vegetables for the entire family. 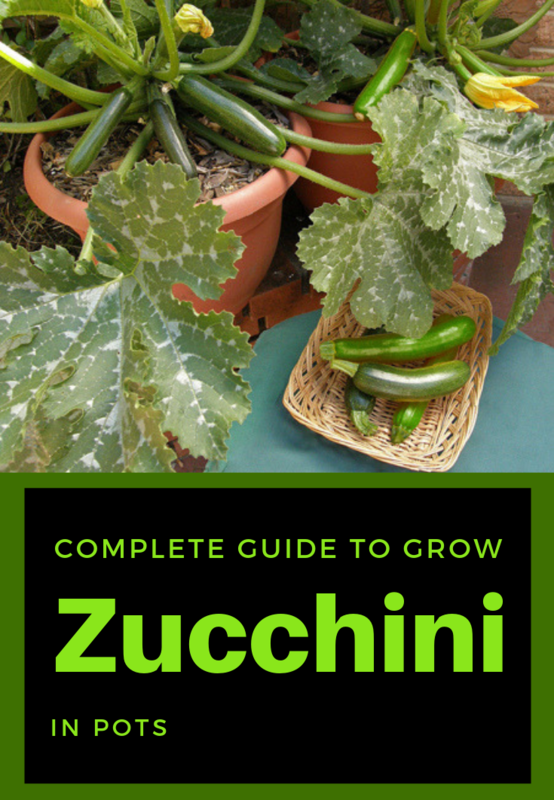 Fortunately, zucchini is part of the veggie category that grows slightly in pots and even productive. This vegetable adapts to the environment and can be planted on the terrace of the block, on the balcony or in pots. You must keep in mind the height of the plant when it grows with its long roots and its fruit weight. Not being a decorative one, a slightly larger pot would be ideal to buy. I can say that ceramic pots would be a good choice given that the possibility of overturning would be a little lower. The pot must have drainage holes. I put a small piece of net on the bottom of the pot and place pebbles or pieces of broken pottery over it. This will avoid clogging the water drain holes. In special flower stores you will find special prepared mixes, rich in compost. If you want to use garden soil, be careful because there is a slight chance to get the plant sick. Seeds or seedlings are used. I made dredges of about 2-3-5 cm in the soil and I place the seed. You can make these ditches at different depths. The plant can grow even 1 m horizontally. To begin with, I use smaller pots, and once you have your own seedlings, you can move them into others that are appropriate for size. Usually, after the last frost of the year, I can start sowing the cucumber seeds. I will located the pot near a natural light source, and the plant will be exposed for about 6-8 hours in the sun. I rotate the pot periodically for the entire plant to catch sun on each side. I do this a few days. It can be done naturally if you keep the plant on the balcony, and I shake the flowering plant periodically or I use hygienic sticks to take pollen from the stamens of a flower and put on the stigma of another. Because my plant grows in pots and not in garden, I put less water to avoid the risk of rotting our roots or getting the plant down. Once their flowers appeared it won’t take long until the fruits will start to appear.